Once in the game, how you play the game will ultimately determine how successful you are. As you move into more senior roles, how you play the game becomes more critical for the organisation because you have a greater impact on all aspects of the organisation. Integrity – reliably honouring your agreements – doing what you have agreed to do including the completion date, taking responsibility for the good and bad, leaving people complete, meeting both personal and work commitments. Authenticity – walk the talk, behaving consistent with personal and organisational values. Courage – respectfully communicating what you think, having difficult conversations, standing up for what you believe, making the tough calls. 2. Is this person providing leadership in the organisation? Engagement – do they engage people, are people drawn to work with them, do they get the best from people? Vision – do they own the organisation’s vision and values, is this clearly visible in decision making and management? 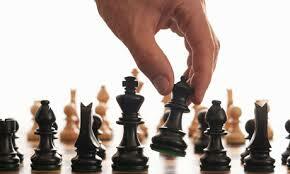 Strategic – Does this person get too bogged down in day to day operational issues and not work on strategy? 3. Will this person be accountable for the whole, not just their part? Loyalty – a willingness to put personal agendas aside and work together with peers for the benefit of the organisation. Ownership – making the organisation’s intentions something you own, not just something you ‘align’ with. Where do you rate yourself in each of the points above? PrevPreviousLeadership and happiness, when do they arise together?